One Saturday evening, my son told me that he has an itchy arm. He showed me his arms and I was surprised to see the rashes. He even said “Mommy, may caterpillar na nagcrawl dito kanina”. Me: Huh! San ka naman nagpunta at may caterpillar? I was shocked because we just went to Asian Hospital, Festival Mall and Landmark so I have no idea na madidikitan siya ng caterpillar or higad. So I asked him again kung saan sa Landmark? Doon pala sa Water Garden, nagpicture-picture sila mag-ama while waiting for the mall to open. He did not notice the caterpillar and yun ginapangan na siya sa arms. According to him, inalis lang daw ng daddy niya and that’s it. At that moment, nahigh blood ako. Inalis lang and wala ng ginawa after? How I wish, they wash the affected area as soon as possible. 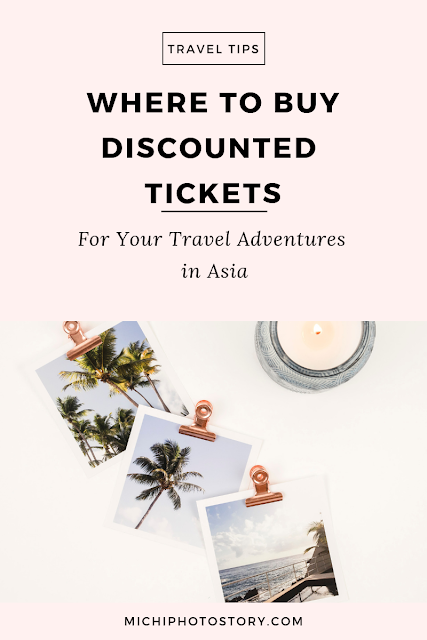 Tapos, they did not tell me anything about the caterpillar, we went to optical shop, we ate at Tenya Tempura Tendon and we finished our grocery shopping pero wala ko kamalay-malay. 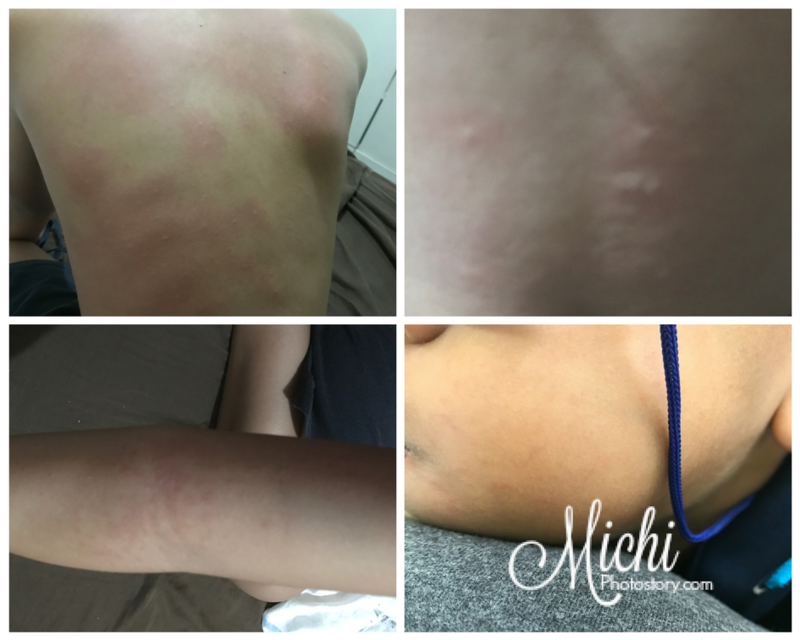 At that time, there are no visible rashes on my son’s arms. I’m sure my two boys have no plans of telling me kung hindi lang kinati anak ko. I just told him to wash his arms with soap and water. The following day, my son woke me up as early as 5AM. Ethan: Mommy, I could not sleep. Ethan: Mommy, my skin is so itchy, I cannot sleep. Me: Turn-on the light so I can check. I was surprised because he has rashes on his back, stomach, arms and cheek. I have so many things to do last Sunday but I have no choice but to go to the clinic. I checked the schedule of the clinic and I saw na may 9AM sked ang Pedia. We were there as early as 8:45AM and we waited for almost two hours at wala pa yung doctor. Hayz! Anyway, the pedia prescribed antihistamine medicine and antipruritic cream. After check-up, I was not relieved yet because I have no idea what kind of caterpillar crawled on his arms, napaparanoid ako baka poisonous at need ng anti-tetanus vaccine pa. But now, after 4 days, sa arms na lang yung may mark ng rashes. Thank God, that there are no worse symptoms. So let me share some do’s and don’ts that you need to remember if ever you experience this but I hope you won’t. Huwag balewalain ang higad. 1. 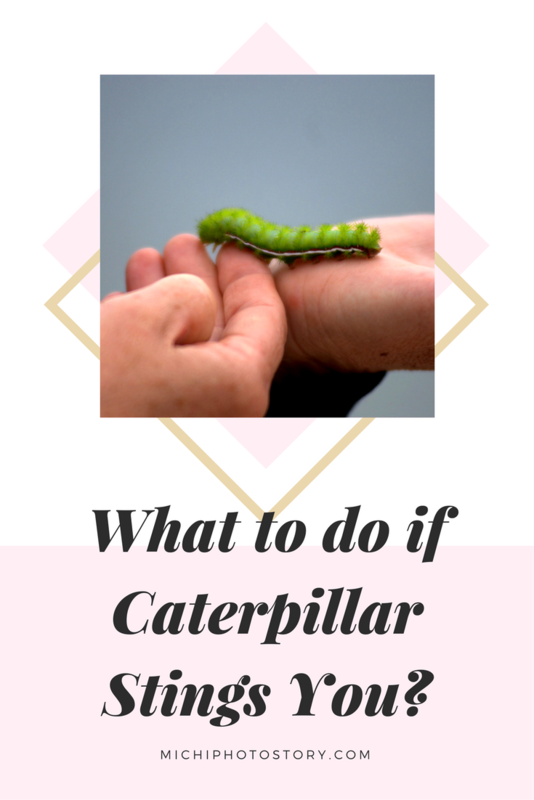 Do not use your bare hand in removing the caterpillar because it can sting you. 2. If you have adhesive tape, you can use it to remove the spines or hairs from the skin. The tape will get the remaining hairs or spines on your skin. Some use vinegar, urine or melted candle wax in removing the caterpillar spines. 3. Wash the area with soap and water. 4. You can apply baking soda + water paste, hydrocortisone cream or antihistamine cream to reduce the discomfort. 5. Apply cold compress. Nakakanumb din ito ng skin so iwas kamot. 7. Just to be safe, you can just visit the doctor like we did. My son took antihistamine medicine and I applied antipruritic cream on his rashes for 3 days lang, nagstop na ko nung wala ng redness and dry na yung rashes. If I will compute it, we spent P1300+ for check-up and medicine. Nang dahil lang sa higad, nakakaloka! Aww.. pangdagdag grocery na yang 1300. Hindi ko alam na sobra para epekto ng higad. Pag daddies kasi ok lang lahat unlike sating mga hashtag #OAmoms hehe! Pero seriously, grabe ang allergy sa katawan. Thanks for sharing your tips momshie. True, panggrocery na rin. hehehe! Yes, okay lang sa daddy niya pero paranoid at OA mom kasi ko kaya hindi pwedeng pagpag lang. Yung hair daw yung nakakasting which is invisible to our eyes daw sabi nung doctor. Akala ko rin, mamumula agad pero in my son's case, ang tagal bago namin nakita yung redness and rashes. Aw.... his skin looks itchy nga. nakakaawa naman. good thing hindi lumala. I know that caterpillars sting but I had no idea the effect can be this bad na magkaka-rashes din yung other parts ng body. Sa eczema rashes ng baby ko super worried na ako, pano pa kaya pag higad. yikes! Totoo makati talaga yan kaya kapag nakakakita kame hindi namin pinapahawakan sa mga bata. Ang mahal din pala magpagamot nyan kung sakali! Honestly, no idea that caterpillar can harm and sting. I thought they just crawl and change into a beautiful butterfly. And speaking of dads, ganyan ni husband ko, he would even mind the ants or anything crawling near the boys.